Bertolt Brecht said “Grub before ethics.” Maslow said there is a hierarchy of needs: one must first have food, shelter, fire, and water before she can focus on self-development or creativity. If certain needs are not met, we stop developing. This is as true of gardens as it is of people. If the soil on your land is depleted, no amount of backbreaking tilling, planting, or weeding is going to ensure a good harvest. But a tiny investment in building the soil will yield spectacular results. If you are deeply exhausted, investments in education, nutrition, and exercise are not going to pay off. But if you give yourself a bit more sleep— everything transforms. The principle of least effort for greatest effect has a beautiful assumption at its center: you are already moving toward self-realization. Everything is. You do not have to work and work and work to achieve perfection. Your only job is to discern what obstacles are hindering your natural perfection, and remove them. By perfection, I do not mean the kind of perfect that is the enemy of the good. I mean a living, breathing balance, such as we see in a climax forest or a well-nourished, well-loved child. In natural perfection there is always room for growth, but there is nothing actively hindering that growth. Sometimes the obstacles are blindingly obvious: racism and poverty and other inequalities jump immediately to mind. Other times they are more insidious; we think we need to work harder when really we need to relax and be more receptive. We think we need to explain when really we need to listen. We think we need a brownie when really we need a hug. We think we need a hug when really we need a brownie. If we can somehow open ourselves to the idea that we are intrinsically fine just as we are, the obstacles start to reveal themselves. What, then, is hindering us? Do we need shelter? Water? Fire? Food? Do we need someone to listen to us? Do we need an hour more sleep per night? Do we need a room we can be alone in? Do we need a schedule that allows us to sleep late, or rise early? Do we need to be working in a field that utilizes our natural gifts rather than deadens them? Do we just need a freaking cape? Five minutes spent removing an obstacle to your natural progress is worth a year’s hard labor fighting your own natural tendencies. That’s an actual statistic I made up. So: how do we learn what our natural plan is, and what our obstacles are? On Wednesday night we used two of my favorite tools, the Ikigai Venn diagram and the Merlin Process. To find your Ikigai, you look at the areas of overlap between your talents, your training, your passions, and the needs of the world. You find the sweet spot that encompasses all four, and THAT is where you put any extra energy, time, or money. Tiny efforts in the area of your Ikigai yield exponential effects, because your passion and education and talent line up to push your ideas into the world. Merlin Process is a joyful, heady way to trick your brain out of the insecurities that thwart you from achieving your Ikigai. 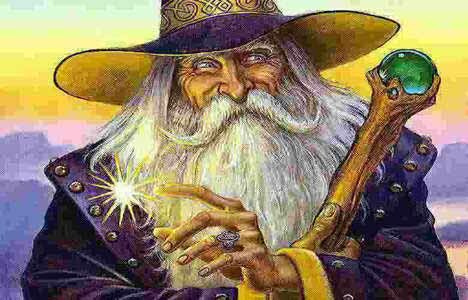 Here’s how it works: Merlin is said to have lived backwards through time. Legend tells of his birth as an old man and his death as baby. The glory of this backward trajectory was that Merlin never had to worry about his future; it had already happened! We can play with this magic ourselves, by pretending our future is already in our past. It works like this. Take a little time and work out your Ikigai by making lists of the things you love, the things you are good at, the things you can get paid for, the things the world needs. Notice the areas of overlap. Work your Ikigai until you have it down as a sweet, solid sentence. Me: Wow, so, five years ago I remember sending my first book about permaculture and psychology off to the publisher….so much changed after that! I remember how I started traveling to talk about the book, and set up so many workshops and retreats for women who were suffering, and how the proceeds from book sales and the nonprofit I set up funded so many trainings for women all over the world. It feels so good that my job is to have my hands in the earth and to laugh with women, and I never have to get up before 8 am. I love how my needs for sunlight and laughter and connection and the outdoors are all fulfilled by my work, and it is so amazing to me that I can offer counseling and retreats to the women who most need it, women who would never be able to pay for these services if it weren’t for the incredible donors to my nonprofit and the proceeds from my books and gardens. It astounds me to have a life that leaves so much room for free days with my children, and travels with my beloved; I feel so at service and yet life is not drudgery. It means the world to me that I can respect my natural rhythms and take time for rest during my moon cycle. I love that the work I do leaves no footprint on the earth except for lands that are more deeply loved, lives that are more carefully tended. Friend: Wow Lissa, tell me more about what your life feels like now! How on earth did you do that? If you want to attend the permaculture and the psyche workshop on Wednesday, email maevehendrix@gmail.com to reserve a spot. And if you do engage in the Ikigai/Merlin process above, I would LOVE to hear from you in a comment what you discovered about your purpose! I’ve been thinking about this stuff for some time, trying to sort it out… and you sorted it all out! Thanks, Lissa!